The Season’s Greetings period comes and with it that famous question: what am I going to offer? It’s always difficult to find the good answer and especially in time. The most popular reasons at this fact are: we don’t know what to offer, we ask ourselves “if this present is displeasing to him/her” and mostly “hasn’t I offer this gift last year?”. Mypaperbook gives you a little help with its assortment of customizable notebooks. They are an opportunity to mark the occasion in this festive season by offering a unique and customizable object to people around you. So get out of the circle of issues and the ordinary gift such as a tablet, a laptop, a perfume, chocolates. Indulge with a customizable notebook. To note, you can choose among one of this four fluorescent edge colors: green, pink, orange and yellow; or among one of this three colors: gold, silver and black. To borrow a sentence mentioned in the previously paragraph: originality is your best asset during this Season’s Greetings. More singular than a chocolate box or traditional greeting cards, custom notebooks are an opportunity to show the commitment you have for your customers, your employees. Also, have a better longevity. Indeed, they go slower than a box of chocolates. Often seen as an obligation, the year-end gift is a real asset . It is in the minds of those who receive it and remains a memory to which it is attached. So, be a vehicle for your company with custom notebooks Mypaperbook for the year 2016. Just, add a personal touch which will be so for all those to whom you offer them. Notebook is a must to transcribe your thinking and you’re a partner for the Season’s Greetings. 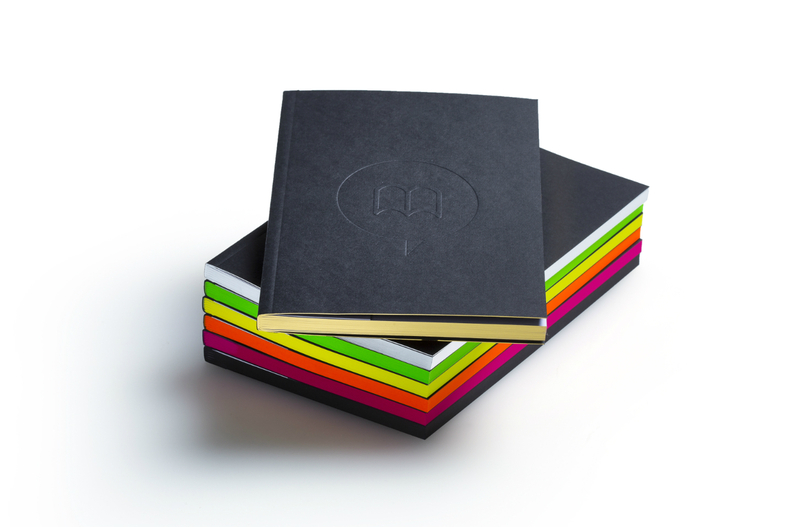 When speaking to customizable Mypaperbook notebooks, you can’t miss their edge colors. But before to see in detail their seven edge colors, the first question is: what is the color? From a scientific point of view, the color corresponds to a part of the frequencies of electromagnetic radiation perceived by the eye and called visible light spectrum. In other words, the color appears to us in function of the visible wavelength. To capture this light, our eyes have photosensitive cells. Thanks to them, we can see up to 10 million color shades. However, each eye has its version of colors. As the individual is unique, his eyes are also just like his brain! In fact, our brain interprets the amount of light that enters our eyes. An it provides an interpretation. The most recent example is the viral story about a dress’ color published on the Internet. The author wrote a caption for the photo in one simple question: Is the dress white and gold or blue and black? Thousands of people responded but no unanimous answer was given. But it’s normal. There is no one answer to this question, that depends entirely on the perception of each. The scientific explanation made to this question is that perception is unique to each, and is based on receptors in the fundus. 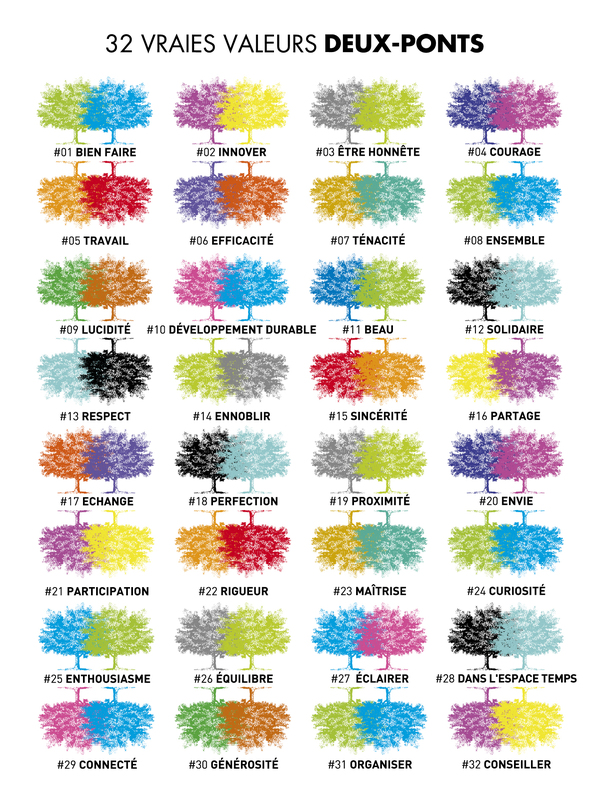 To create edge colors (or ” jaspage ” in technical French ) of customizable notebooks, several techniques are used: for fluorescent colors pink , orange , green and yellow and also black, printing on the edge is used. As for gold and silver color , they are obtained through the gilt -edged. Now, discover the realization of gilt –edged in video. It has been taken in our workshops near Grenoble. Select the best paper to their document is paramount, especially for customizable notebooks. To choose the best one that suits, several criteria must be taken into account: what life for my paper, for what use? According to answers, printing companies offer you the appropriate solutions. Note, customizable notebooks are made up paper bleached without chlorine (French made) by methods that respect the environment and people. What means « sustainable development »? The term sustainable develoment, or « développement durable » in fench, emerged in the 80’s. It has democratized at the third Earth Summit in Rio in 1992. Since then, the international community recognizes sustainable development as an important goal for nations. It’s also an important way to protect environment and thus the Earth. The Norwegian Prime Minister, Ms Gro Harlem Brundtland (1987), sums up the sustainable development with the sentence: “Sustainable development is development that meets the needs of the present without compromising the ability of future generations to meet their own needs”. Since the 80’s decade, the sustainable development has continued to grow to become a central point for governments and population today. The manufacture of customizable notebooks Mypaperbook are in this logic of sustainable development. In fact, the operating in our workshop is specific and we use certified materials to create notebooks. Everything is done to protect people and environment. Production takes place near Grenoble in the middle of the Alps. Moreover, we control the production process to guarantee notebooks respectful of environmental and people. We also preserve the French know-how in the creating of printed. Since 1935, the expertise of our craftsmen enhances paper in all its forms. Customizable notebooks Mypaperbook are the fruit of this excellence travel through the ages and generations. Several printing techniques can mark the cover of a book. 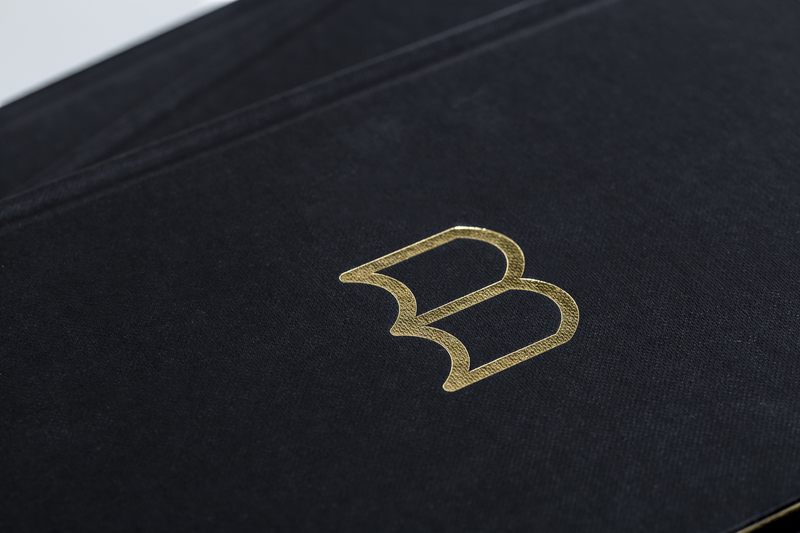 As part of the customizable notebooks, we use: hot stamping and embossing. Gilding is a common technique in printing. Make it possible to mark a form on any paper with a hot iron previously shaped with the desired logo. The logo can be colored by affixing plastic film coated pigments. By pressure and heat, the film transfers its pigments to the contours of the form to give the color of your logo. In our workshops, the stamping of the initials is done traditionally. A craftsman put together print character on an iron, one by one. A film is then inserted between this iron and the paper which be stamped. Then, by the pressing of the artisan’s hand, the color and the initials transfer on your Mypaperbook notebook. The machine used for the work is among the smallest of our workshops. Surprising as it may seem, this is initiels machine can stand on an office table. Also it’s easy to carry it with its “featherweight” of 60 kg (appromximate). You can choice among two fonts to make your initials: Normal Grotesk and Diethelm Antiqua . Now, you’re free to make your own Mypaperbook customizable notebook. Going back in time to discover the history of the notebook or rather the “calepin”. The notebook term, comes from the name of an Italian religious scholar named Ambrogio Calepino (1435-1511). He published in 1502 a Latin dictionary, and over the years he completed it with other languages (Hebrew, Italian … ). This work knew an astounding sucess in Europe during this decade and made this Latin dictonnary the reference books. But how is this dictionary became a notebook ? Being taken during trip or travel, it was regularly annotated either personal reflection or enriches notes over meetings. Its format has adapted in collecting small book for notes for more convenience, and then like a personal notebook. The notebook that we know today, hasn’t started with the a small size. These are the men and women who shaped it with their uses over time. The current notebook offers us a world of possibilities and many use (notes, drawings, collection of thought… ) . Its format has also been reworked to be in adequation with our contemporary practices. Notebooks aren’t make up white pages and one coverage. They are colorful and multiple to answer different expectations. Mypaperbook notebooks reflect this customization. You can choose the edge color and coverage’s gilding. And also, use its ruled pages on the right side to your writings or let one’s imagination run wild on the blank page on the left. Nowadays, the notebooks are often used among office supplies in the companies. 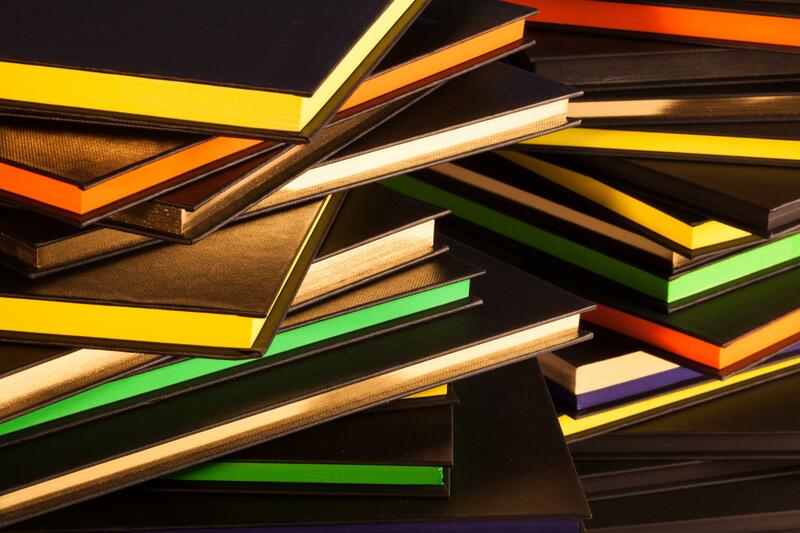 Useful, malleable, elegant… the Mypaperbook notebooks offer you stylish way for writing with seven edge colors. This video was made in our workshop in Grenoble, a town in the heart of the Alps in France, and shows the universe and the different stages of our notebooks’ production. You can, among other things, to discover “modern” machines and “old-fashioned”, like the Original Heidelberg aged over 60 years-old who realizes the amazing marking on Mypaperbook’s covers. But also watch our craftsmen’s savoir-faire and expertise in paper handling and customizable notebooks’ assembly. Soon, Mypaperbook you open new pages of its history with new videos and pictures. For now, this video is to be found on our networks Facebook, Twitter, Linkedin and also on Youtube. If you enjoyed this video, please share it! 04Why we send us greetings cards? The greeting card comes from the Far East. It was used to wish his vows to friendship or business people met throughout the year. Rather formal, these paper cards had different sizes depending on the addressee (public figure, noble…). Some cards could have disproportionate dimensions, requiring rolling them up like a parchment. Greeting cards that we know today, with a smaller format, have them starting point England in the 19th century. With the first stamp in 1840, more and more people sent cards and letters. Also, the lithography (invented during this century) had the beginning to the explosion of the greeting card. With the printing process, greeting cards have been standardized for a public using. This paper size has persisted through the ages and is still present today. However, with the progress of digital device we can see digital greeting cards, text message to wish New Year Eve and also dedicated applications for every celebration. But, the paper greeting card is still a proof of attention and elegance, a unique present that shows an attachment to people. Now, it’s the moment for families, friends and also companies to thank men and women who have count throughout the year. These thanks are usually a paper greeting card to wish an happy new year, health, prosperity, happiness… . Customizable notebooks are a way to celebrate differently the end of a year and the beginning to another. In respect of paper tradition, customizable notebooks Mypaperbook wait you to customize them. You have choice two blenders and seven colour edges. For companies, it’s the occasion to make the different to its clients. With these customizable notebooks, celebrate the New Year with a prestigious present that will be reflected your company’s values, your image and your greetings. These notebooks are the perfect association between authenticity and modernity. Mypaperbook and his team were present at the luxury exhibition and packaging the 21th, 22th and 23rd October at the Grimaldi Forum at the center of Monaco. 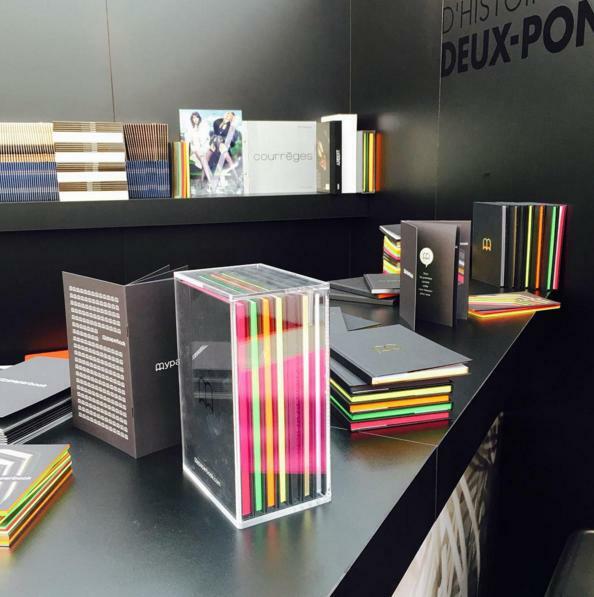 Our customizable notebooks, on the stand of the Manufacture d’Histoire Deux-Ponts, received a warm reception from visitors. Our customizable notebooks have made an amazing entrance in the world of luxury and luxury packaging, thanks to its colour slice and its very classy black cover. An irresistible desire to grasp all 7 notebooks collection have often grazed the spirit of our dear visitors, who came away with Mypaperbook’s entire communication as a present. 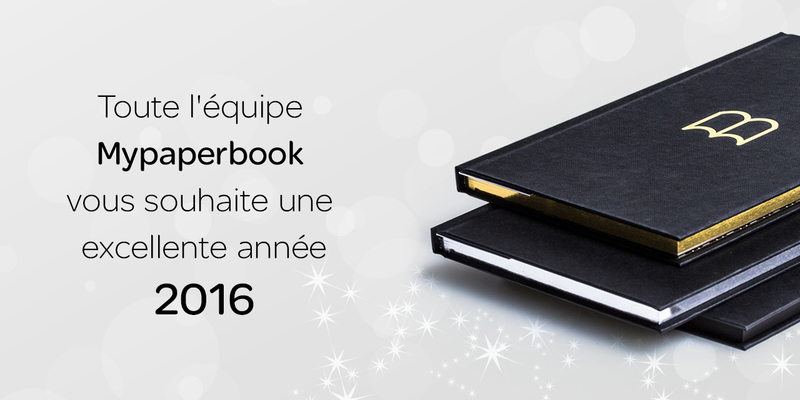 Mypaperbook had come to expose and allow to do discover its new customizable notebooks: done to our customizable notebooks, have been sold and have won the heart of many visitors! Mypaperbook is on its way to Paris, and will be back next year to Luxepack 2016, always in company with Manufacture d’Histoires Deux-Ponts. Thanks to all Luxepack’s teams and to all participants for these three days filled in emotion. 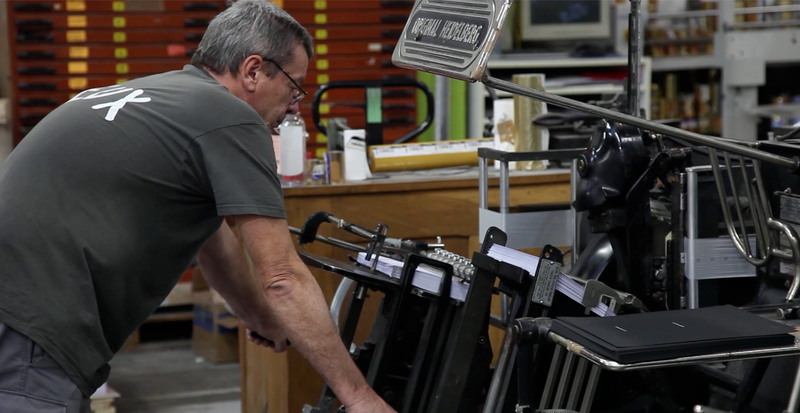 Several families of trades involved in the creation of customizable notebooks Mypaperbook. 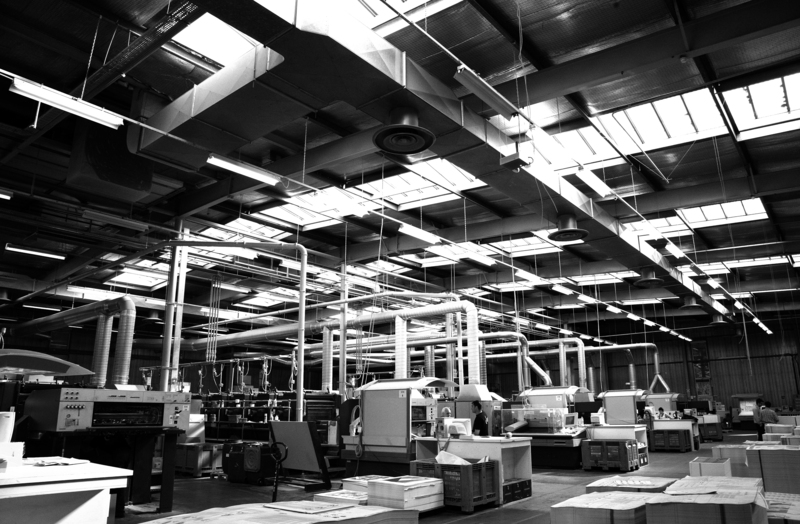 Every step and every craftsman follow in a specific order to guarantee quality and excellence for each notebooks. Initially, the project manager receives and deals with the customer’s request. He is also the ressource person between you and our craftsmen throughout the manufacturing process. Then, each art craft comes shaping, based on its know-how and expertise, the pages of your notebooks. The production manager is as for him, the conductor of this beautiful mechanics. The craftsmen are brought together depending on the families trades. 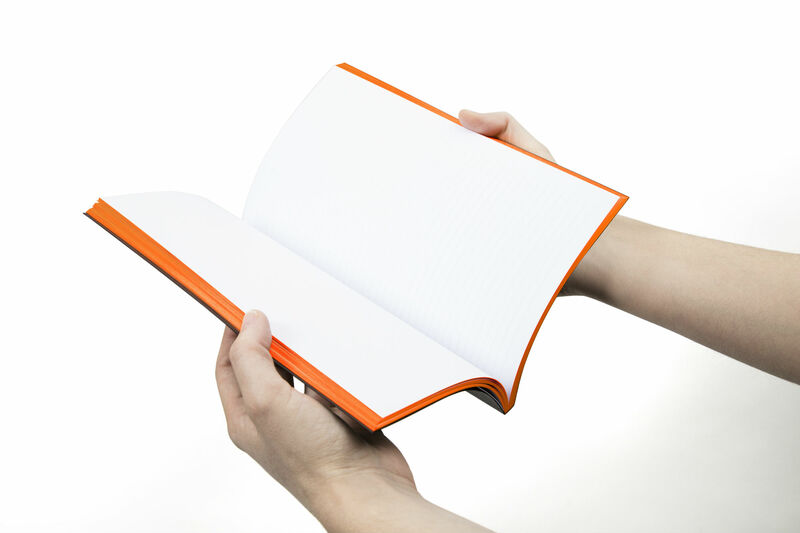 Here is a short list about trades used for the manufacture of customizable notebooks Mypaperbook. When you want a special project, the research laboratory team discusses the feasibility of your project. They realize the dummy printing to visualize the appearance and production conditions. It’s also a way to preview the notebooks that you’ve imagined. They receive, verify, validate and prepare files for production. In this way, the risk of printing defects are limited and the quality is preserved. This step in particular enable to have a clear file of your logo to better create the iron to be used to mark your notebooks. At this stage, craftsmen give the definitive forms at the customizable notebooks. They put together the cover, pages and glue the first-page. Now, it only remains to mark the notebooks of your identity. In order to fully meet your expectations, our logistics operators prepare the work of routing and check the stock management, the mutli-addressing … for better distribution. If you wish, you can ask for a transparent film individually or more or enveloping your customizable notebooks. One way to protect them or better offer this notebooks. This last step, and not least, makes the final packaging and send your notebooks as soon as possible.